There is a place where the sun sets on vast beautiful dunes and mountainous lands. There is a place where the sun sets, while the sky oozes colors of purple, reds, and blues. This place is Oregon. 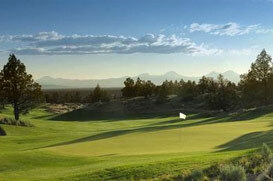 Brasada Ranch in Bend, Oregon was named the Community of the Year by the Builder Magazine. It was also named Oregon’s Best Destination Resort by the Oregonian, so it is a community people are certainly talking about. Doesn’t that get you a little curious? The homes for sale in Brasada Ranch have a ranch or cabin feel to them, yet they are very modern at the heart. They are entirely Eco conscious. The community sits a few miles away from the airport and is quite close to the city. So you can enjoy the commodities the big city has to offer, while avoiding its traffic, of course. The homes here average at about 400,000, and the average household income is about 67,000. The schools available to your children is more than a mere concern; what schools represent is the security of your child’s future. Have no fear, Brasada Ranch does not disappoint. They understand the importance of education, which is why you can rest assured that your child will receive a top notch education here. One school to mention is MA Lynch Elementary School, which scored highly on the Great School scale and has met the approval of many parents. These parents are proud to have their children get their education in a place where dedication is their craft. Another school to mention is Tumalo Community School. This school also scored highly on the Great School scale. Many students are proud of their achievements here. One last school to mention is Crook County High School; a school that scored highly on the Great School scale. Many parents and former students are very happy with the results they have received in this school. The school offers numerous clubs for your child to advance their interests and knowledge. It is safe to say that the Brasada Ranch community has got education covered; these are just a few of the schools available. They have great private schools too. What to do in Brasada Ranch? Well, if you want to stay inside Brasada Ranch, then you can enjoy the Brasada Canyons. These are championship golf courses that can be enjoyed by you, friends, and competitors. You can also visit the Range Restaurant and Bar, which serves some pretty appetizing foods for your enjoyment. Perhaps you are in the mood for a Spa? Brasada Ranch has got you covered; you can visit the Spa Brasada. Of course there are many trails and parks nearby. If you head to the city, you will most certainly enjoy many other attractions. There are shopping complexes or quite treasure-esque boutiques, where you may find your next conversation piece. There is something for everyone at Brasada Ranch, O.R., and they would be honored if you called it your home.